One woman. Twenty-three people. Twenty-three stories. 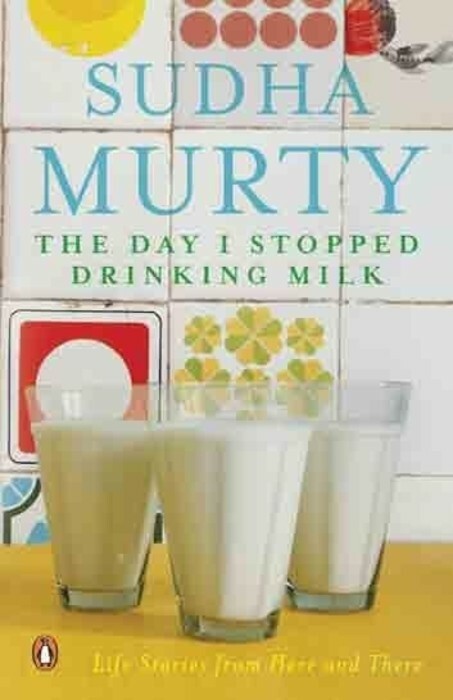 “The Day I Stopped Drinking Milk” is a book full of heartwarming experiences of the author, Sudha Murty, written as she walks the roads of rural and urban India and aspires to become the voice that many never had. She confronts the issues of child marriage and gender inequality in the workplace through eloquently written tales. She weaves the everyday life of men and women in India into short stories and each story has a unique takeaway that you’ll never forget. There is an empty pond in a village. The people are very thirsty. The pond will never have water unless a daughter-in-law goes into the water and prays to the goddess. There is a wealthy man who has three sons but no daughters. His youngest son is off to fight in the war. The people of the village come to him and ask that he let his youngest daughter-in-law walk into the pond so that they may have water. The wealthy man is very angry at this proposal and refuses immediately. None of the people notice the daughter-in-law, Bhagavathi, listening to their every word. Who will save her from making the ultimate sacrifice to save her village? I tend to read from ebooks on Kindle or buy them so sorry, I don’t know. Maybe try epub bud? I’ve heard it has quite a few books but I’ve never tried it. Hope that helped! Sudha Murthy truly writes stories revolving around Indian culture…and reading them gives a sense of pride! That’s very true! Thank you for taking the time to visit my blog! I don’t read many Indian authors, but Sudha Murthy is on top of the list. I love her stories! ‘The three ponds’ is one of my favorites too. Bhagirathi’s story is of bravery and sacrifice, tinged with sadness… it’s a wonder how a short story can make you feel so much! Wonderful review! Thank you for taking the the time to stop by and read my reviews! It means a lot!